Mancora is good for the soul but not the liver. 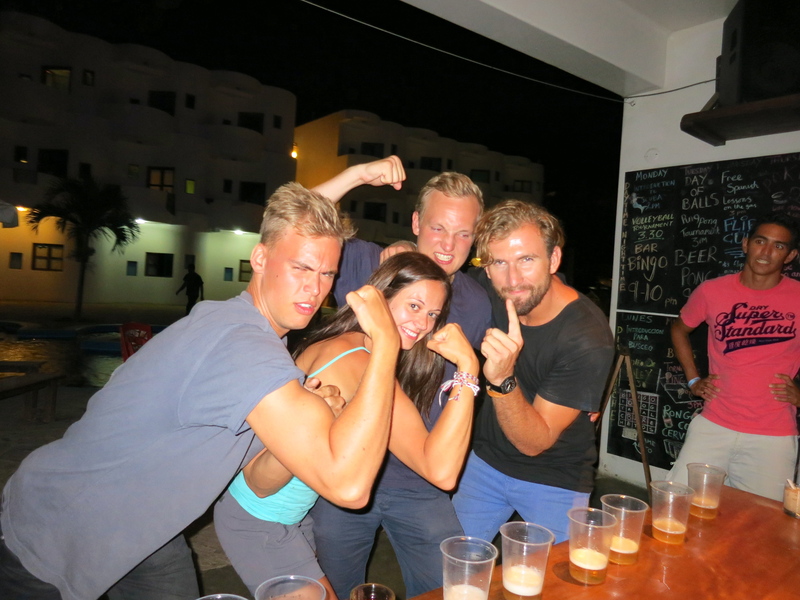 I spent five days and four nights at Loki Hostel in Mancora, which is the proud winner of Sarah’s #1 Favorite Hostel of South America. Mancora is well known among Surfers and wannabes throughout South America as a great surf beach on the Northern Coast of Peru. Prior to arriving in Peru, I assumed most of the locations I planned to visit were within short bus trips, but I learned that looking at a map can be deceiving. Leaving Mancora for Lima was an 18 hour bus ride, making it the longest, but one of the best bus rides of my trip thanks to 180 degree reclining seats and an Ambien. After two frustrating weeks attempting to get around Arequipa and Cusco on crutches, I discovered that getting around was much easier at the beach. Except when walking on the actual beach, crutches aren’t made for soft ground. For that strong men are made to give piggy back rides! The best thing about Loki Mancora is that it’s like the all-inclusive resort of hostels, and everything you need is inside. In five days I only left the property a handful of times to go out dancing (yes I can now dancing on crutches) or to dinner. My daily routine consisted of sleeping as late as physically possible, which usually meant until 10am, breakfast, reading/pooltime, lunch, followed by beer thirty at 4:30. 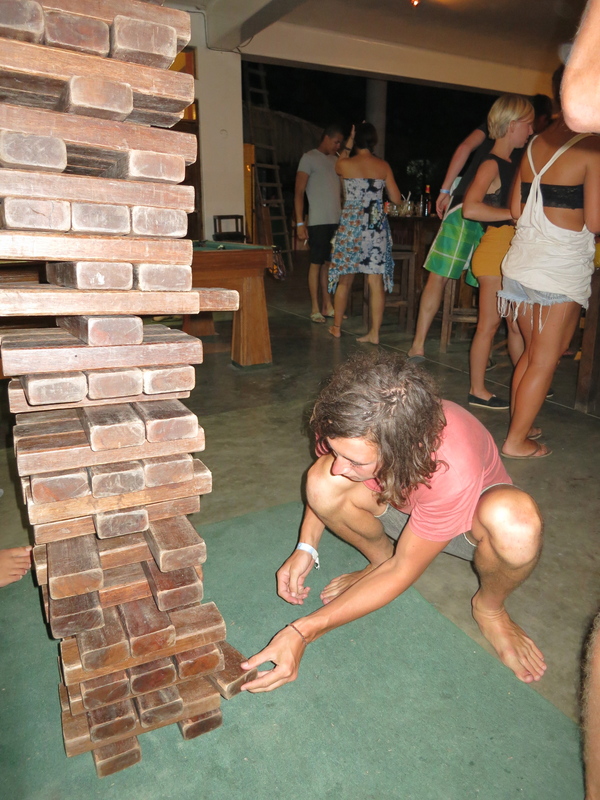 The hostel had a weekly lineup of activities which made me feel back in College including Beer Pong, Flip Cup, and Poker. All of the weight I’d lost in Colombia has started to creep back on with the additional daily beers and lack of exercise. 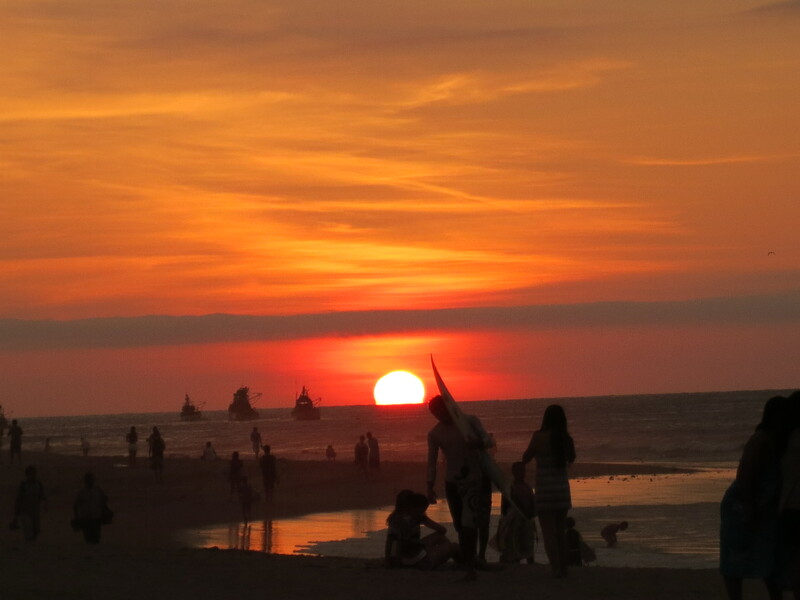 The amicable environment of Mancora revived my downtrodden spirit, and instead of feeling homesick , I’m now jealous of the other travelers who are continuing on to Montañita or wherever else, on both legs of course. Now in Lima I’m counting down the days (3) until my flight to Cartagena then Friday I fly home to San Francisco. Hello can you tell, with which company your 18 hrs trip to Mancora was? Greetings from Lima with its recently fresh climate.